His ability to characterize minor characters is something he does with mastery. I've dug hard into his books to see how he manages to make a character jump off the page in just a few words (sometimes--certainly not every time) -- and in truth it's elusive. I remember one scene I think is in Book Two - at Harrenhal, where he's describing a whole cast of Brave Companions (is that not a stunning name for them? ), and he tells us of one with some specific scar and a certain cast to his expression and I thought, Oh, I know that guy. Another good example from the first book: the woman who runs the inn where Catelyn stops is always chewing some root that stains her teeth, which is mentioned several times. Again, not a detail we’ve seen a million times, one that feels medieval, and one that speaks to the depth of detail in his world. I read the books before watching the show, and although I very barely picked up on every single character, it kinda worked at some points. 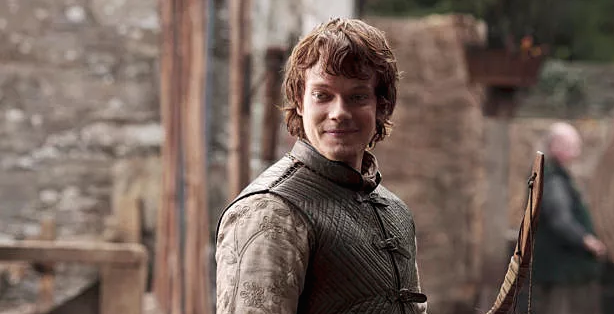 So when Bran sees Cersei and Jamie in the tower, I had no idea that they were siblings, or that it even was Jamie - he was just described as "the blonde haired man" or something to that effect. When it actually got to Ned finding this out, it was a surprise for me too. I don't actually know how deliberate it was on Martin's part, or if I automatically assumed it was someone other than her brother. Oh my! Not a danger for me because I saw the show first. Even from Bran's limited POV, there are ways to let the audience know which two characters these are, so I think that was Martin's failure, not yours. I read the books before I watched the show and had no problem keeping up with the main cast. That said, once it gets past book 3, there are way too many characters, and I get lost with some less important names. I feel like when my father starts talking about a distant cousin I'd never heard about, and I'm like "yeah, yeah", cause at the end of the day, knowing who exactly this person is won't change much of the content. I think these many characters create a vivid, lively picture. We get a sense of this large community in Winterfell, before everything happens. Also, in a way, sure, he could just say that there are 20 man with Ned, but by having dialogue here and there we get a sense of the number of people. In a movie you can show 20 people, in a book, if you simply say that there are 20 people you're not really painting a vivid picture. GRRM uses visual details here and there. Other than that, frankly, sometimes the descriptions go overboard.